Black Label™ – A new look, mixed materials and textures, and an attitude that could only be named Black Label™. 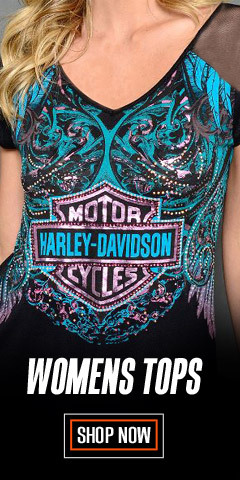 Harley’s® latest collection brings you a full line of apparel steeped in tonal and muted colors. Women get pops of color and graphics in unique designs with minimal branding using hardware, small badges and emblems. 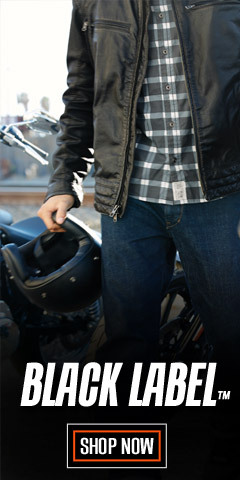 Men’s designs are grounded in the Harley-Davidson® DNA of leather, metal, rubber and classic symbols and logos. Retro looks meet slim modern fits with the Black Label™ Collection. On or off the bike, this collection of vintage motorcycle clothing looks nostalgic and broken-in right off the rack. 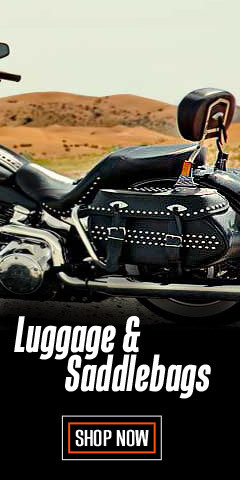 Included and especially designed and styled for this collection are entries from many clothing categories, including long and short sleeve T-Shirts, hoodies, helmets, wallets, jeans, and jackets. Availability is limited, so check back often. Graphics are plentiful and ingeniously varied. 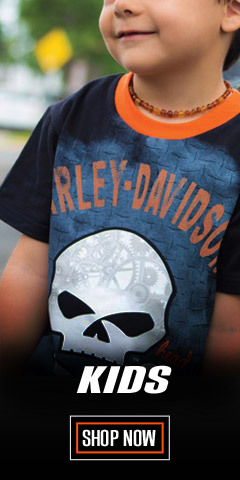 Check out the shirts, made of 100% cotton and cotton/poly blends, each one featuring a Harley-Davidson® logo, from the classic #1 skull logo to H-D® logos that have skulls and crossed bones, wings, and other variants of classic H-D® motorcycle graphics and logos. You’ll find unique washed colors, bold colors, and plaids in red & black or white & black. Men’s sizes range from Small to 3X-Large. For the ladies, sizes range from X-Small to X-Large and in some cases to 2X-Large. 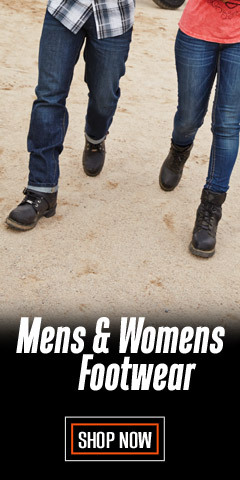 All the normal jean sizes for both men and women are represented. If you are looking for something different with a nostalgic look and feel, you can’t go wrong by perusing this collection. 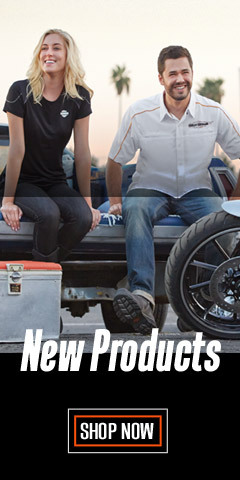 WisconsinHarley.com – here yesterday, today, and into the future.